The United Nations’ (UN) International Day for the Eradication of Poverty is observed on October 17 each year since 1993. 5000 people took part in a rally against poverty organized by Taiwan Fund for Children and Families (TFCF) on Oct.17 in Changhua this year. Most of them were parents and children who joined this cause to support TFCF charity running activity. 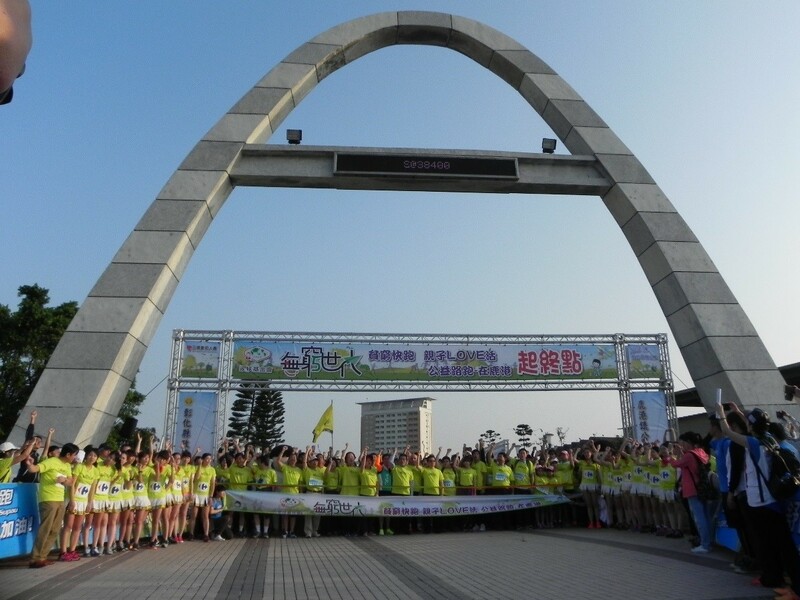 Mr. Li-Min Chao, chairman of the Taiwan Fund for Children and Families, led all staffs of TFCF and invited County Magistrate of ChangHua County Government and many sponsors to participate in 1017 TFCF Running Festival. The guests included Carrefour Taiwan, Mercuries Corporation, and Vitalon Welfare Foundation etc. Mr. Chao and all sponsors intended to bring attention to the issue of poverty and promote people’s awareness of the need to eradicate poverty and destitution worldwide. In addition to TFCF running, people also helped collect recycling materials and experienced of being poor. The price for recycling was really low and unable to help children and families improve their lives. However, it could be the daily work for many vulnerable families because they are unemployed due to the serious illness or the lack of skills and education. TFCF would like to call on the public to support and donate money to help the needy children and families. Let children satisfy their hunger, preserve their health, provide them with education and emergency assistance and have opportunities to significantly reduce poverty further. Join TFCF campaign, Anti-Poverty Generation, you may see that your small change means a big change for needy children and help children create a bright future.